The specific architecture of the 911 – an engine with opposed cylinders mounted not simply behind the driver, but behind the transmission – is now unique in automotive manufacture. Indeed, when the 911 was first presented in 1963 this design was already seen as old fashioned, and over the next few years those manufacturers still placing engines in the rear would move them to the front. But there was a solid logic behind both the horizontally opposed and rear mounting of the air-cooled engine and the economic, rounded shape of the body, all of which originated with Ferdinand Porsche’s Volkswagen. Porsche’s ideas for his small car were succinct: it had to be designed from the ground up, not an existing design reduced, yet although small it had to offer normal performance. A targeted 100kph cruising speed meant the car had to be aerodynamically efficient and make use of new, lighter materials, and provide room for four – yet be engineered robustly and simple to maintain. Already apparent is the philosophy of lightness and efficiency which would underpin the 911 ten years after Porsche’s death. Of course, the war changed everything. Porsche had hoped to return to Volkswagen, but this proved impossible, and then he was abducted by the French and off the scene altogether until 1947. It was during this time that his Konstruktionsbüro, now exiled to Gmünd in Austria, was effectively taken over by his son, Ferry Porsche. The operation had kept going by offering general engineering and repair; its immediate plan was tractor manufacture. An early consultancy contract meant that Ferry was soon involved with the Italian industrialist Piero Dusio to build the Cisitalia racing car. On his visits to Cisitalia Ferry was very taken by its successful small sports car, built around a tubular frame and using a Fiat engine and gearbox. He could see the possiblities for Porsche, but instead using VW parts. Potentially more profitable than tractors, this course also looked more exciting. It was the beginning of the Porsche sports car. 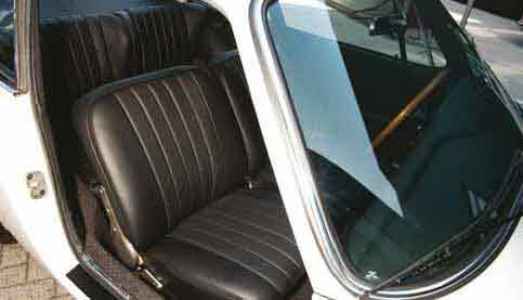 The initial Gmünd-built cars were open two-seat barchettas with the VW engine and gearbox reversed, but Ferry soon realised that a sports car with a roof would have wider appeal, as would space for rear seats. So was born the Porsche 356, later differentiated as the ‘Pre A’, a two-door, four-seat coupe with a transaxle and the engine virtually outside the wheelbase. It would be the template for the 911. By 1960 sustained development meant the 356 B bore little relation to the Pre A of a decade previously, but Ferry Porsche was keenly aware of the need to produce a successor. The 356 was no longer fast enough, the boot was too small for a golf bag – a serious failing in the US – and the flat four lacked refinement. On the other hand, the virtues of the horizontally opposed engine combined with the space-efficient rear engine architecture were never in question. So when the new Porsche was finally revealed at Frankfurt, Porsche watchers were impressed with the lines of the 901 – and Porsche had emphasised its looks by launching the 356 C alongside it – but not entirely surprised. In 1963 the German economic miracle was at its height, its motor industry had produced a record number of cars and the new Porsche, together with the innovative NSU Ro 80 and the magnificent Mercedes 600 which were also revealed, appeared to typify this confidence. If people believed the new Porsche represented the smooth evolution of the 356 at the hands of Porsche’s renowned engineers, a PR image which suited Porsche, the truth was quite the opposite. The 901 had a long and at times difficult gestation: no major component of the engine or chassis would be the same as the first production 901. First, there was the design. Initially Ferry thought the new car could break away from the VW-esque rondeurs of the 356. He was an admirer of the BMW 507, but its designer Albrecht von Goertz, a successful industrialist who ran his own design studio, failed to produce a new shape which bore any relation to the concise proportions that Ferry asked for. The latter felt he had not been taken seriously and concluded that the new Porsche would have to be designed in-house, but even this process would not be without hazards. Erwin Komenda, who had shaped the Beetle and the 356, favoured a four door, representing a very different generation, while Butzi wanted a two-door coupe. 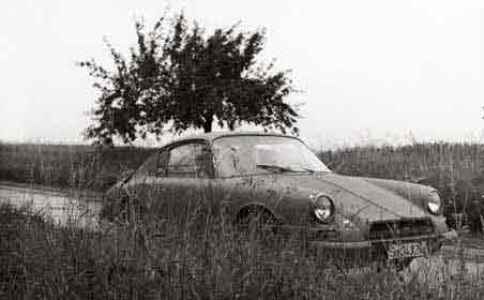 While Ferry could see Komenda’s four-door with full rear seats was too far from Porsche’s sporting tradition, he favoured a 2+2 fastback with a wheelbase significantly longer than the 356’s 2.08 metres, for reasons of space and handling. Father and son were eventually able to dismiss Komenda’s arguments, though it would take longer to resolve their own differences, and time was pressing. In early 1959 Ferry finally approved the Typ 695 project. 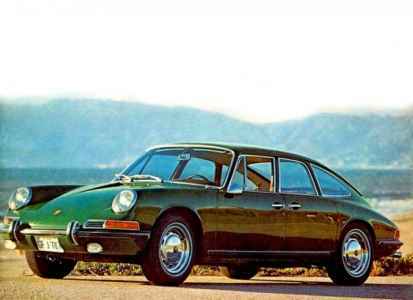 It was a compromise: the design was recognisably the future 911 from the front, but its high glasshouse fell away steeply at the rear and its large rear window made this almost a three-box shape. Its 2.4-metre wheelbase allowed Ferry’s 2+2 space criteria to be met, but the car was controversial – Hans Herrmann was later quoted as saying he was horrified at this potential 356 replacement. Even having got what he thought he wanted, Ferry was far from happy, and driving the 695 for a few months did not change his opinion. At this point he conceded to Butzi, who favoured the shorter 2.21-metre wheelbase. 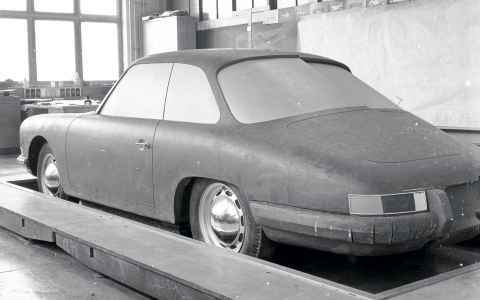 The new Porsche would be built in the image of its 356 predecessor. Years later, Butzi was asked whether Ferry had taken paternal advantage pressing his views, to which ‘FA’ replied: “Father had taste, but he was no stylist.” The ball was now firmly in Butzi’s court. 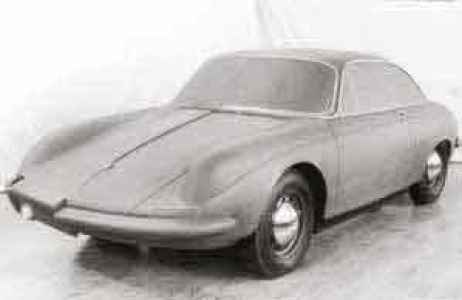 Late in 1959 the design studio ran up a series of sketches of a four-seater coupe. Models followed and a prototype was ready for driving by December 1961. With 2.21 metres between front and rear wheels, Butzi’s design group managed to create the passenger and luggage space Ferry required in his new 2+2. However, there was still the engine to consider. The engine had to be more powerful and refined, and four years since Ferry had approached Goertz, nothing had been done. The 356’s flat four equipped with fuel injection failed to produce any improvement, and the race-bred ‘Fuhrmann’ four-cam engine was too highly tuned and maintenance-intensive. 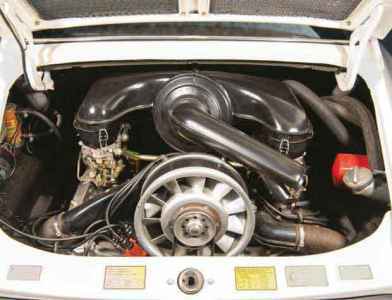 Thoughts turned to a flat six, a logical path as Porsche was already working on a racing flat eight, and so a six-cylinder unit was designed. Progress was slow and it was not bench tested until January 1963. The result was a dismaying 110 to 112 bhp when the target was 130. Ferdinand Piëch, who had just joined the family firm, took charge of a total redevelopment. With oversight from Hans Megzer, whose main responsibilities were the competition engines, the flat six was completely redesigned with twin overhead chain-driven camshafts rather than the complexity and bulk of overhead valves. The crankshaft was now seven bearings instead of four and had lubrication by dry sumping, which would eliminate the oil surge problem of the 356. Mezger improved the combustion chambers on the model of his racing flat eight and incorporated space for dual ignition so the engine could readily be adapted for competition; he also left margin for future developments to extend both bore and stroke. Carburation was in the hands of two banks of Solexes. A single-axial 11-bladed fan was chosen for its efficiency and low noise. The 901’s chassis also showed a radical departure: if the 356’s torsion bars remained, at the front the engineers designed an innovative damper-strut which dispensed with the transverse torsion bar, enabling a far larger luggage space. Removal of the torsion bar also gave the designers space to incorporate the transverse wishbone arrangement that had been developed on the Typ 804 F1 car. Combined with rack-and-pinion steering it meant suspension and steering operations were separated – unlike the 356’s – which enhanced handling and particularly turn-in. 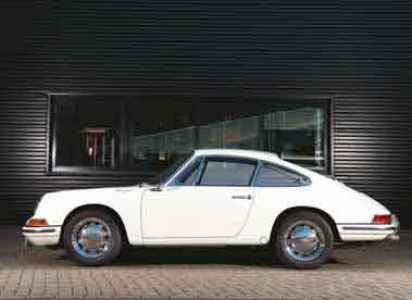 At the time of its launch the 901 was far from showroom ready. If the chassis and interior equipment had largely been finalised, proofing was continuing with the engine. The very first 901 completed in March 1962 used the Super 90’s flat four; similarly fitted prototypes 02, 03 and 04 built in the spring of 1963 were used for suspension, gearbox and brake testing. 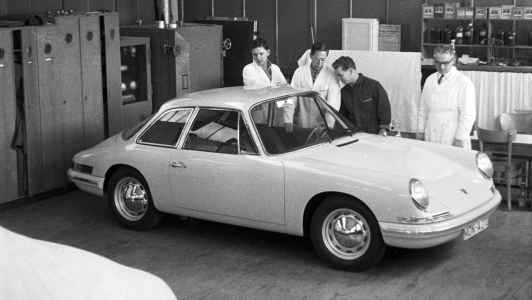 Despite a frantic spring and summer’s development programme during which Bott, Falk and others drove thousands of test miles, the fifth prototype car, made in August 1963 and exhibited at Frankfurt, still had a makeshift engine: this was flat six, but the discarded OHV engine, selected because it would not have readily given the game away had a curious exhibition visitor (or spy from a competitor) managed to open the cover. Porsche stand personnel were reportedly very careful to ensure this did not happen. This car was not fitted with the proper ‘Mezger’ dry sump OHC flat six until January 1964. 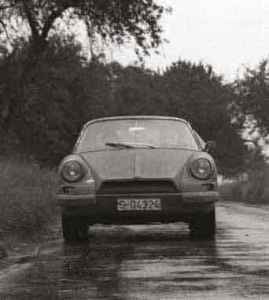 The sixth prototype, also dating from January, was the first to have the OHC flat six from the outset: it served both as Piëch’s company car and as a development vehicle. Eight further 901 prototypes, all with the OHC engine, were built between March and October 1964 for performance comparisons between Weber and Solex carburettors and brake validations, although the all-round ATE disc set-up was the same as the 356 C.
A prototype, supposedly the final engine development car, was sent to the US and reportedly went through two engines in 60,000km. None of the prototypes were kept; in those days no one had the idea of keeping the first car off the production line. 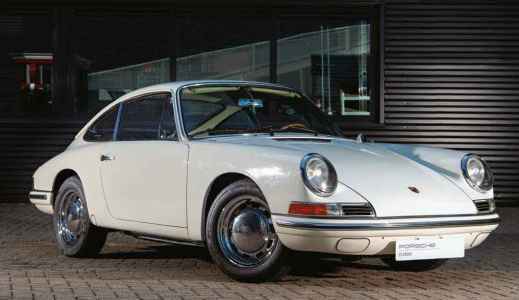 Consequently the ‘first’ or oldest 901 known to exist is chassis 300.057 from the third week of production, which the Porsche Museum recently restored. If press admiration for the 901 at Frankfurt had been tempered by a streak of scepticism, Porsche clients who had to wait a tantalising 13 months for the first production cars voted with their feet; from the outset Porsche was able to sell everything it could make. 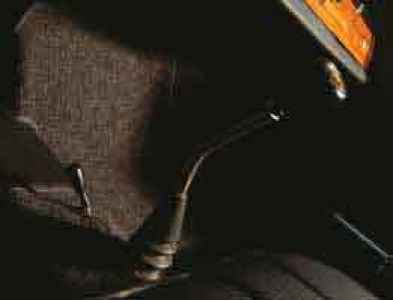 It is now well known that carburation and handling problems affected many early cars, but almost without exception the 901, soon to be rebaptised 911, achieved everything Ferry had planned. The new Porsche accelerated to 60mph in 8.5 seconds and reached 130mph, and unlike its OHV predecessor it would cruise very near this all day; the flat six revved to an unprecedented 6,500rpm and almost alone among production sports cars the 911 had a five-speed gearbox. Even as Porsche was entering an almost-standard 911 in the 1965 Monte Carlo Rally, private clients were already pressing them into service in motorsport events – from hillclimbs to rallycross. The modern 911 shares its architectural principles with that 901: a 2+2 coupe with a horizontally opposed ‘six’ behind a transaxle. 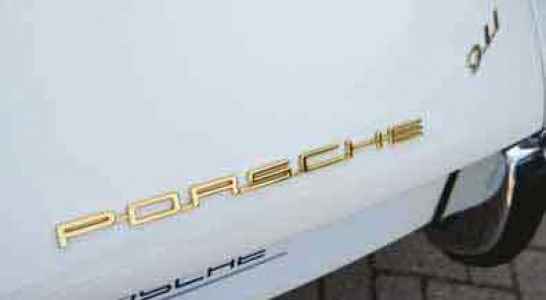 In steadily updating this design Porsche has been extraordinarily clever. It managed to keep the 911 virtually intact until the end of the 20th century when a pressing combination of economy and safety regulations, not to mention changing consumer expectations, forced change. Yet even with the addition of water-cooling, and since 2011 turbocharging, the still instantly recognisable 911 has a stronger claim to its ancestry than almost any other vehicle in history. Suspension design, build method and quality, and equipment levels have evolved hugely over 50 years, but even if the latest 911 is now made mostly with alloy rather than the steel of its predecessors, it is still the unique sports car first seen in 1963: a car developed from a combination of the race track and driving for its own sake. No competitor, however brilliant, can or is ever likely to come close to that. ABOVE The five-dial instrument panel, designed by Otto Soeding, mimicked the curve of a large ball so all gauges faced the driver with glare only ever affecting one dial. BELOW 911 came with a five-speed ‘box from new ABOVE RIGHT Quarter window air vents were eventually phased out. ABOVE A disguised 901 prototype roams the countryside roads in Germany in early 1963.